Take dynamic versatility from a competitive to advanced level in your field hockey game by choosing the Gryphon Blade Pro field hockey stick. This shape has a moderate late bow that will enhance dynamic skills without requiring major changes to perform the basics. 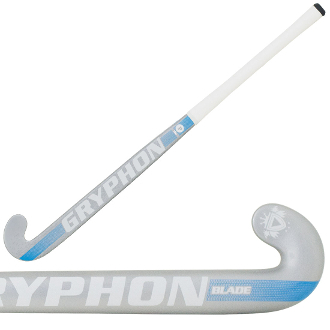 A 6/10 power rating, the Blade Pro is a Gryphon field hockey stick that never disappoints. Great balance of power and feel with a late bow for improved ball control.